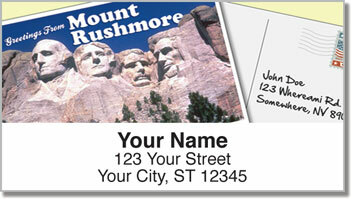 These unique return address labels celebrate some of the most spectacular locations in the United States. From the awe-inspiring view of Niagara Falls in upstate New York, to the chance to swim with dolphins in Florida, this country has so many adventures to offer. You could live ten lifetimes and never see all there is to see! 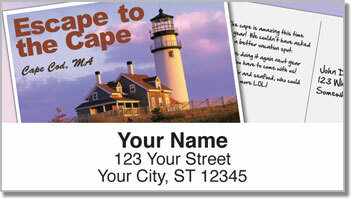 Postcard Address Labels also feature Mount Rushmore and a charming lighthouse from the coast of Cape Cod. Use them on all your letters and packages - including actual postcards you send to friends and family from your travels around America! 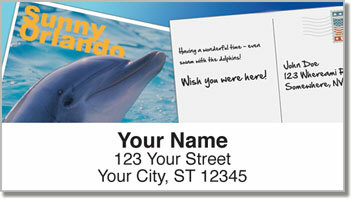 The convenient self-adhesive backing on this product makes preparing outgoing mail extra easy! 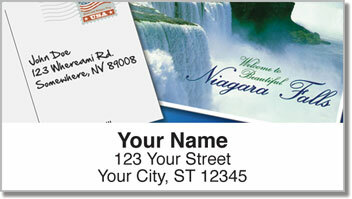 Get your own Postcard Address Labels from CheckAdvantage today! Complete your order with some matching checks!